Many, both riders and skiers, are drawn to one of Austria’s most highly-rated terrain parks, as well as wide, open slopes above the tree line that are heaven for powder hounds after a fresh snowfall. The local area has 139 km of pistes, up to 2,500m. But that’s just a fraction of what’s on offer in the region. 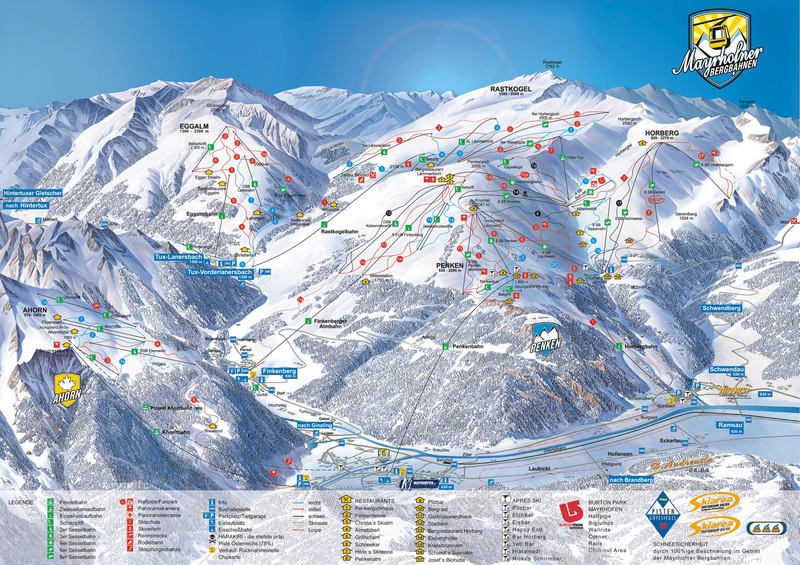 The ski area’s lift pass, the Zillertaler Superskipass, gives access to a mighty 487km of pistes.